In many circumstances, musicians and producers find themselves needing to contact the copyright owners of a particular song or recording for permission to use music for something not covered by the standard licenses available through ASCAP, SESAC, BMI, or the Harry Fox Agency. Activities such as sampling and using music in a video make it necessary to contact and request licenses from the copyright owners of the songs and/or recordings. But although we're often familiar with the artists who performed the songs, information about the copyright owners/administrators can be less readily available. Here are some research resources to help you find out who owns those copyrights. Every recording has two individual copyrights. In many cases, you'll need to contact the both the copyright owner of the musical composition and the copyright owner of the specific recording you're using. Many songwriters have agreements with publishers who either administer licensing or take ownership of the songs, so for many musical compositions, you'll be contacting a publisher. 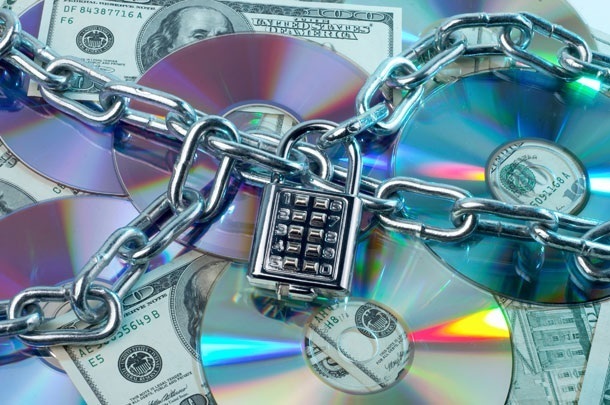 Copyrights for recordings are often owned or administered by record labels, although in some cases, artists may have retained or regained ownership of their recordings. For many sound recordings, you'll probably need to contact record labels or artists/managers. ASCAP ACE Database – This is a go-to source of information about writers, performers, publishers, and alternate titles for copyrighted songs from both ASCAP and non-ASCAP affiliates. This database mostly includes information for compositions, but in addition to listing the writers and publishers/administrators for each composition, many listings also include the names of performers known to have made recordings of the works. By clicking on the name of the publishers/administrators for each composition, you may be able to get contact information including the address, phone number, or email address. You can search by title, writers, performers, publishers, work ID, or ISWC. ISWC (International Standard Musical Work Code) – This is another option to find the creators, performers, and alternate titles of works, as well as their ISWC number. The ISWC number is used to track when musical compositions are publicly performed so that copyright owners can enjoy performance royalties. Search by the title or creator's name; if you have trouble getting results, try expanding your search by adjusting the filter from "begins" or "exact" to "contains." United States Copyright Office Public Catalog (online) – This catalog includes works registered with the US Copyright Office from 1978 onward. Use "other search options" to get advanced search features such as being able to search for title/composer. After searching, you can also set search limits to include a specific date range and type of work such as "music" or "sound recording." This will give you important information, such as the date a work was registered for copyright and who the copyright claimants are. Library of Congress Audio Collection via SONIC (Sound ONline Inventory and Catalog) – Like the US Copyright Office catalog, SONIC will give you information about audio works that have been registered for copyright purposes. Information in this database includes the publication status, type, medium, genre, and the names of artists/groups performing on the recording. Worldcat – Designed to help you find items in libraries near you (including university libraries that may have robust sheet music and recording collections), this database can also help you find out more about performers, record labels, and publishers of music and recordings. Using the advanced search, you can limit results to only musical scores and/or sound recordings. The details will include the publisher and authors/contributors, and the responsibility field can help you discover lyricists or arrangers. AllMusic.com – This website is listed as an e-resource by the Library of Congress. It provides critiques and ratings for albums, but more importantly for copyright researchers, it provides a "credits" section where it may list many of the professionals involved with creating an album, including the producer, other musicians, and the primary artist/band. Information available may also include the release formats, labels, and years, but avoid using this as your sole search tool since some of the information may be inaccurate. If you're able to find the name of the publisher or record company you need to contact, you should be able to find their address, email, and/or phone number online through a quick Google search. Publisher contact information can also be found in ASCAP's ACE Database. Be aware that copyright ownership and administration can change hands, so you may need to contact several companies before finding the one that can consider your licensing request. Still can't find the copyright owners? If you're unable to find the actual copyright owner/administrator for a song or recording you wish to use, consider paying for research. There are companies that employ experts at tracking down copyright owners not easily found through one of the above methods. Being rejected or unsuccessful at tracking down a copyright owner does not give you the legal right to use their music without a license, so make sure to do your homework and have a backup plan in case licensing does not work out. As always, consult an attorney specializing in the music/entertainment business before signing any licenses or other contracts.